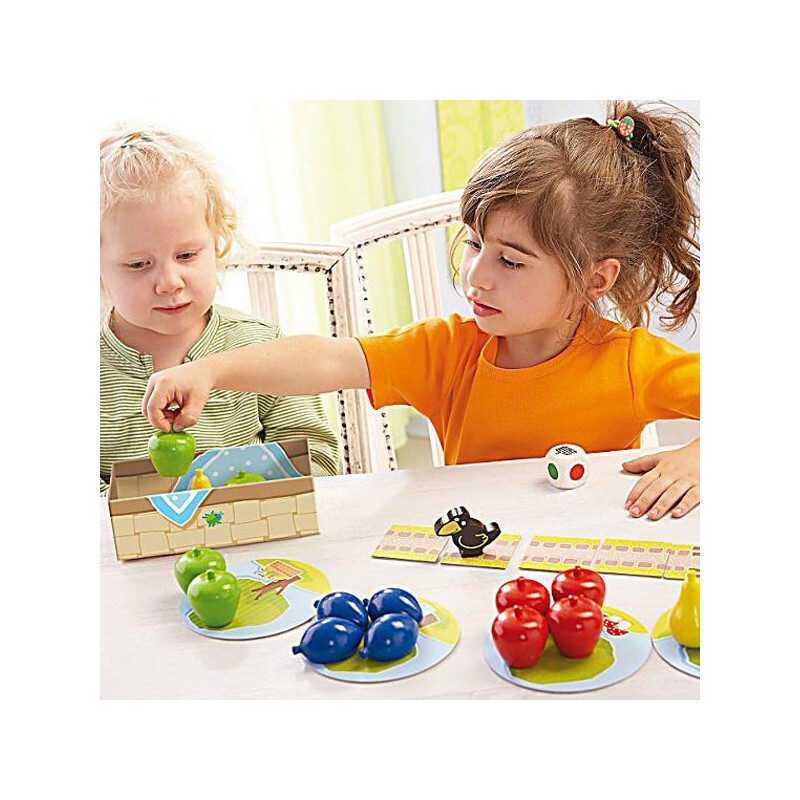 The Haba Orchard cooperative game is a classic in board games. Created 30 years ago, the game the orchard today comes in several formats that we decided to introduce. Every time the principle is the same, you manage to pick up all the fruits of the Orchard before the Raven steals. 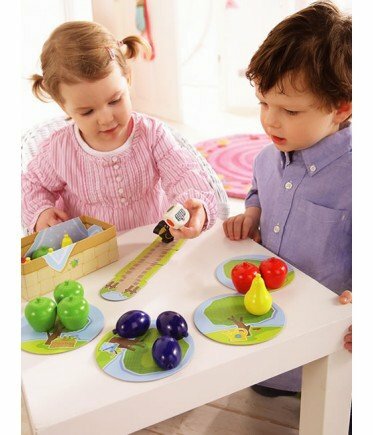 The Orchard: it’s the inevitable!It is played with 2 to 4 players from age 3. It is a board game that takes about 15 minutes. The Raven is represented by a 9 piece puzzle. At every roll of the dice, if the player lands on the Raven is a piece that will be added to the puzzle and an additional risk of losing! If it falls on a different face of the he can pick up the corresponding fruit. My first Orchard: this is the game of the Orchard suitable for toddlers. 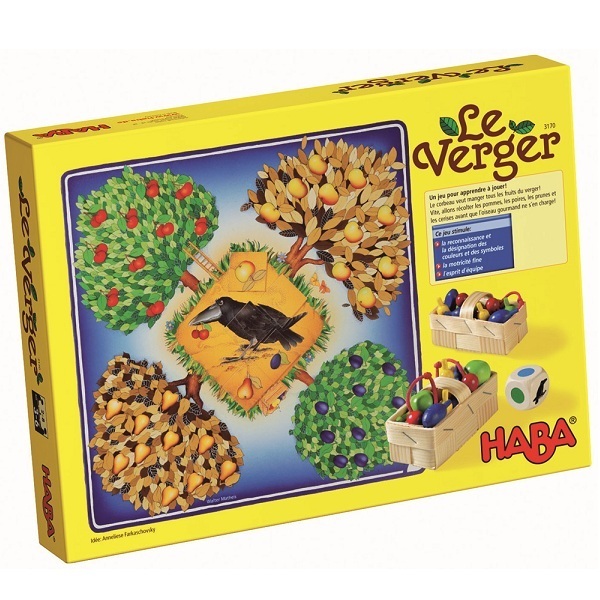 From 2 years old, children can discover the world of cooperative play and will try to win against the Crow. Parts are suitable for the young, the fruits are larger and Raven get a path to reach the first orchard. The Orchard Mini game: the orchard is available in “mini” format. Different parts of the game, such as fruits, are represented on tokens. The Raven is a small wooden figurine that will not arrive first at the Orchard under penalty of losing the game. An ideal size to take everywhere with you! The Orchard card game: the second format travel game the orchard. Here, it is a card game, all the elements of the game (fruit, baskets, the Raven…) are represented on maps. 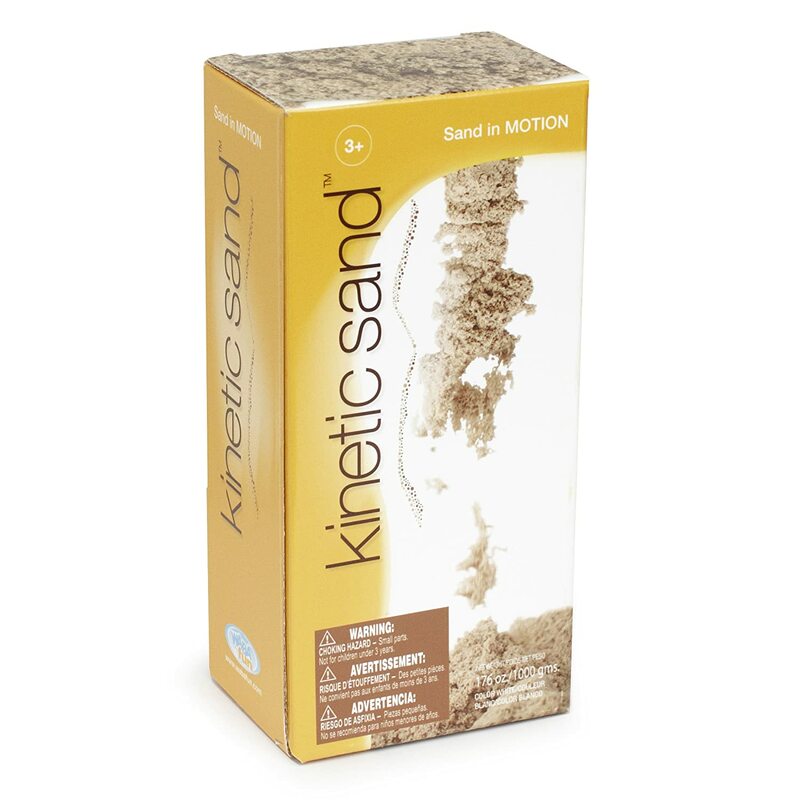 This makes it a compact size, convenient to grasp the game in a more conventional way. 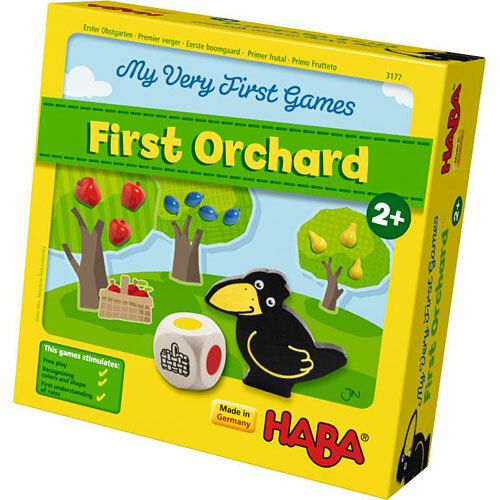 Giant game Orchard: the opposite of small formats, the Haba Orchard also comes in giant game, perfect for toy libraries, schools and other communities welcoming to children. 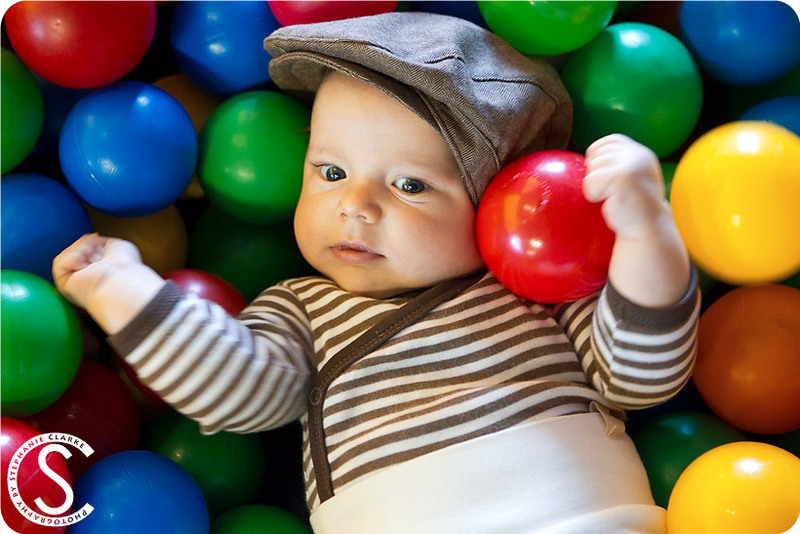 You will find all the universe of cooperative play in XXL size, always for children from 3 years. 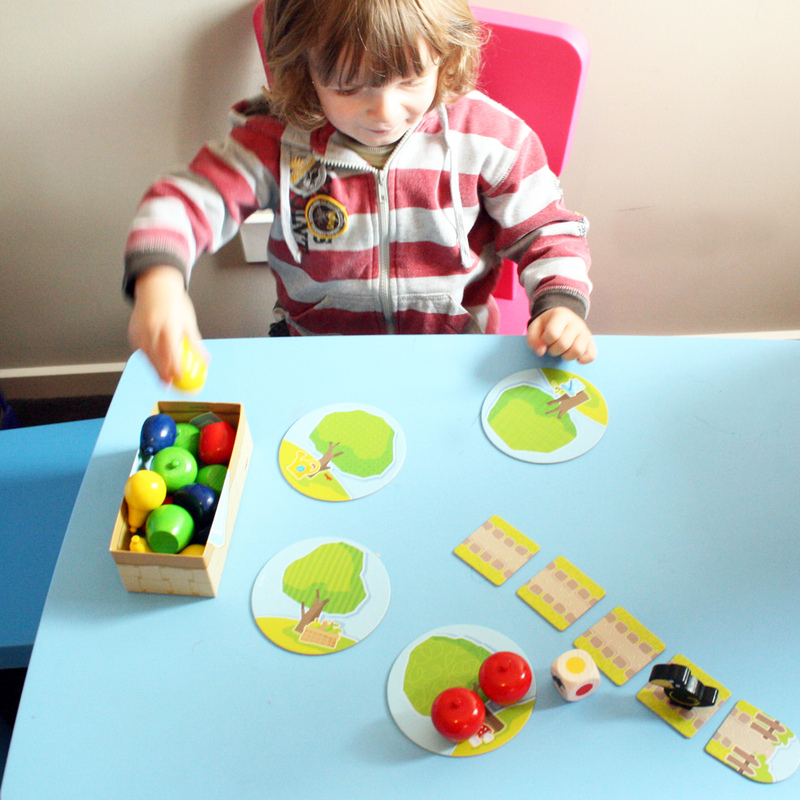 The small orchard: a variation of the cooperative game where children from 3 years old will have to rely on their memory to be able to pick the cherries. The Raven is still present and will try to arrive first at the orchard to pick fruit. 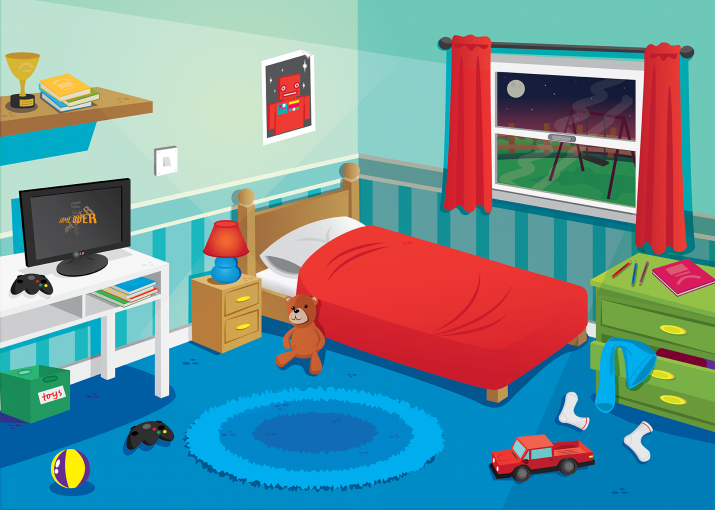 A game combining observation, memory and collaboration that will appeal to children. 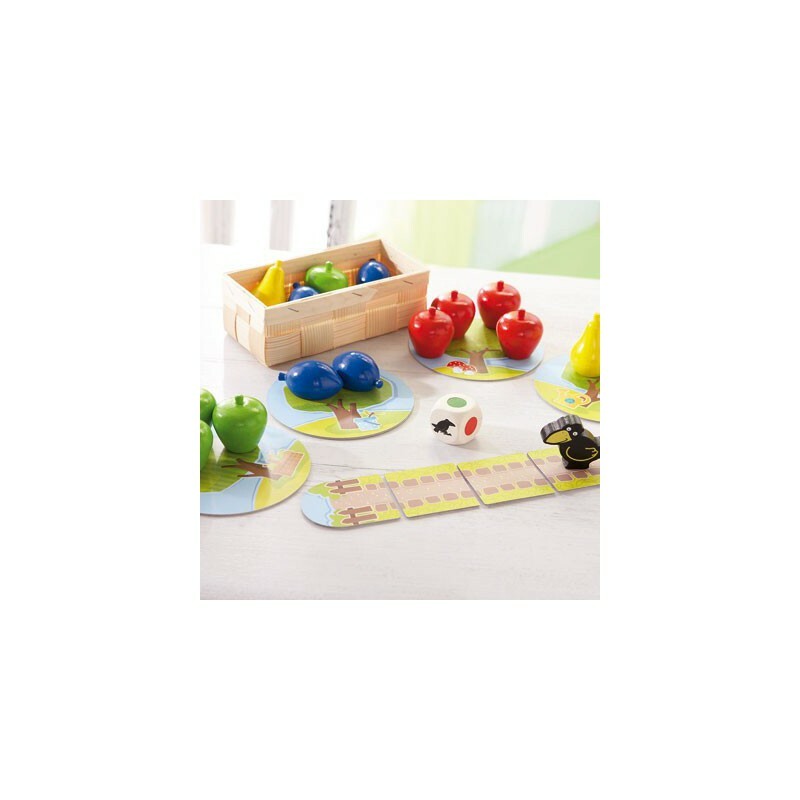 My large collection of games the Orchard: the latest addition to the range, it brings together 10 different games(memory, games, touch games, card games, the game of the orchard…). Very complete, this collection will appeal to fans of the game the orchard and will spend some quality time with your family!